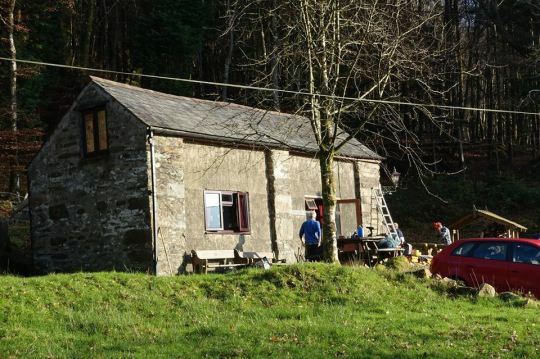 The Club’s hut, situated in the heart of the Snowdonia National Park, makes an ideal base for a weekend’s mountaineering in North Wales. Its position, close to the foot of the Watkin path to Snowdon and set back from the A498 between Beddgelert and Capel Curig, is easy to reach from the West Midlands and gives easy access to the whole of North Wales. The hut provides comfortable accommodation for up to 15 people. Facilities include alpine-style sleeping bunks, a smart kitchen with boiling water on tap, a wood-burning stove and a fully equipped toilet & shower block complete with tumble dryer. The hut is open to members, or guests accompanied by members, 365 days a year but we cannot take third parties in the hut. To book the hut, get in touch with our Hut Secretary.